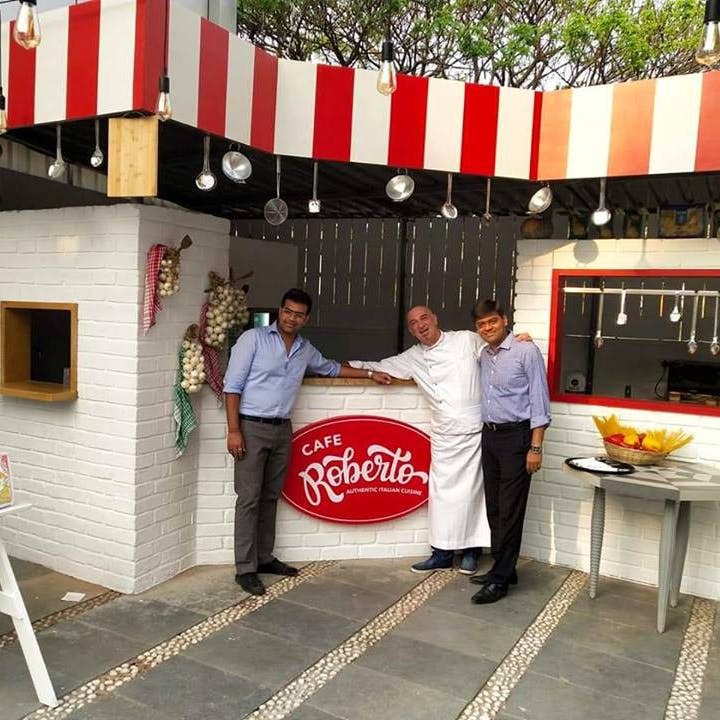 After years of experience in the finest kitchens, Chef Roberto has started his namesake Italian restaurant in Baner, Cafe Roberto. Owing to his Italian roots, Chef Roberto has curated an all-vegetarian Italian menu for his quaint little cafe. Along the busy Baner main road, you'll find Cafe Roberto dressed in red and white. Right from the moment you enter the cafe, you will find the place very warm and welcoming, just like Italian hospitality. The chef has earlier worked with Sheraton Grand, and has now started his own Italian restaurant to bring forth the authentic recipes to every Punekar’s palate. From what we know, Roberto’s authentic Italian taste is so overpowering that some times, even the simplest of dishes like spaghetti in marinara sauce seems out of this world. Whenever you visit, do make sure that you have tried their penne margherita, bruschetta, spaghetti aglio e olio, devil lasagne. From their desserts, you must try the classic Italian tiramisu and panna cotta. Cafe Roberto surely has a selected menu however, we simply cannot doubt on their authenticity. A meal for two will cost you INR 700 and the open air seating will help set the mood for a casual date too. We'd love to see the chef add other rustic Italian dishes to the menu as well. Try to visit Cafe Roberto in the evening. You might stand a chance to meet the chef, who'll quickly recommend you what to eat and ensure you leave with a full belly.